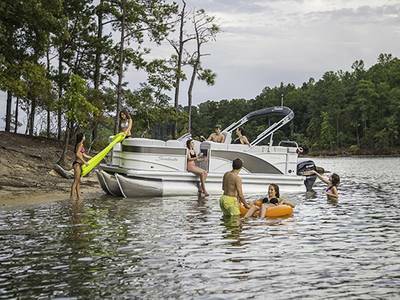 When looking for a used boat or pontoon, Loonie Toons Pontoons has you covered! We have a large selection of quality used boats and pontoons for sale in the province of Ontario. Stop by our location in Desbarats near Sault Ste. Marie and Sudbury, Ontario for a great deal on a used boat or pontoon!